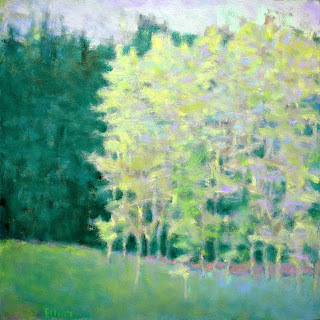 The larger oil is a composition where the color comes first. 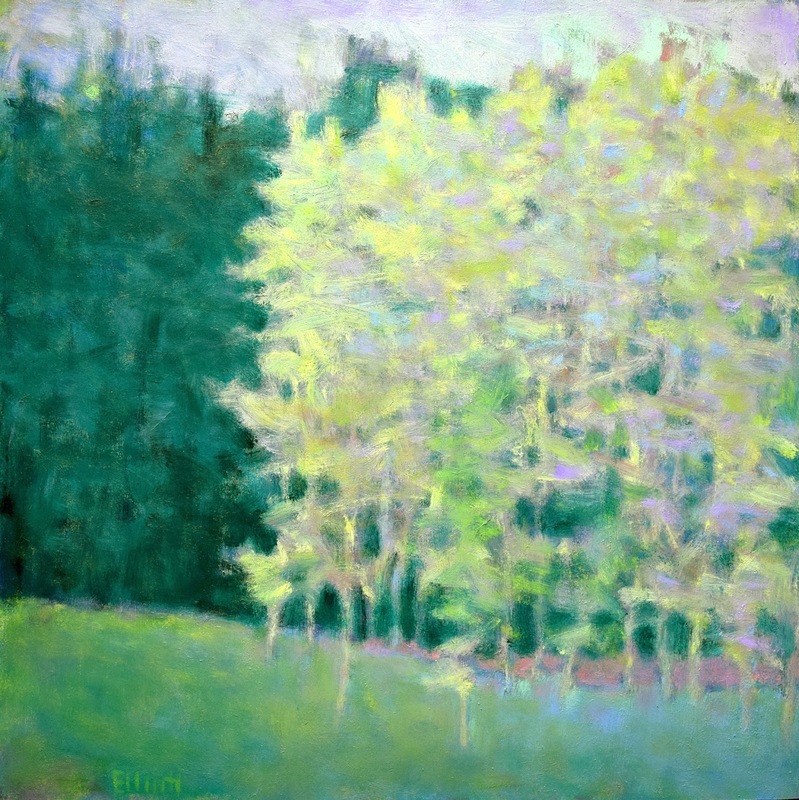 The light and shadows are unnaturally placed to create more contrast and intensity. Some of the brights are too bright and the shade doesn't always follow the usual contours, given the so-called light source, but it is all part of the theatre. The entire effect is a bit surreal and intense. As I was painting this it was a bit like throwing on more logs to make a brighter fire. Surprisingly, there is a balance in this but the solution came slowly, over a number of painting sessions. At first the greens and yellows were just too bright, but I didn't want to sacrifice their power. 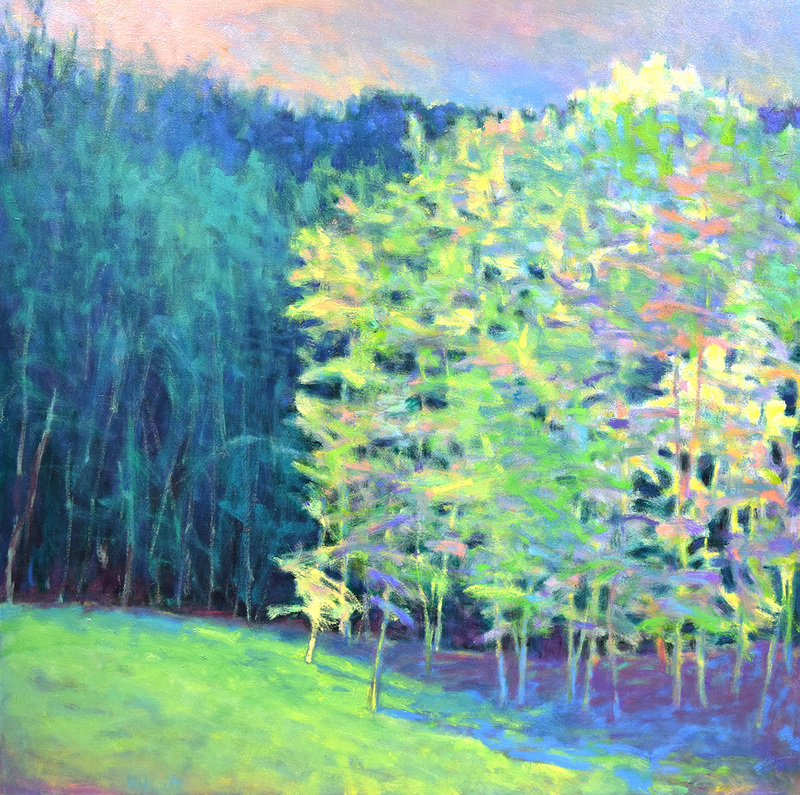 The stand of trees was a bit chaotic as well, so other colors and shapes were added for support: light blues, lavenders, cobalts and the orange foliage. Finally, everything came together to create the right chord, not one you hear everyday, but it is made to be played loud!